For most people, getting up close and personal with ice means drinking a frosty beverage. The worst that could happen is brain freeze. 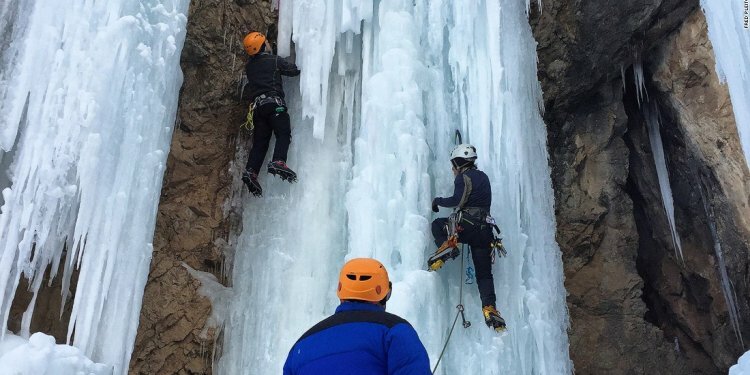 But adventure junkies will spend hours, days even, with their faces flat against the side of a glacier or frozen waterfall, using picks and ropes to scale its slick, textured and treacherous surface. The thrill of danger - Will I fall into an icy crevasse? Will I get frostbite? Will an avalanche come out of nowhere? - is what makes ice climbers so passionate about their sport.